Product information "PXP pencil around ergonomic profiling grime size 4"
PXP pencil around ergonomic profiling grime size 4. This is a flexible yet sturdy synthetic pencil whose bristles well get back in shape. The brush has an ergonomic handle so that the grip is a lot more pleasant. 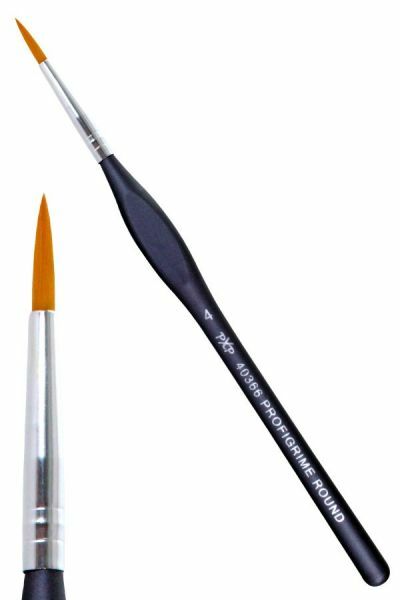 This brush is also ideal for making fine lines and delineating characters. Related links to "PXP pencil around ergonomic profiling grime size 4"
Customer evaluation for "PXP pencil around ergonomic profiling grime size 4"